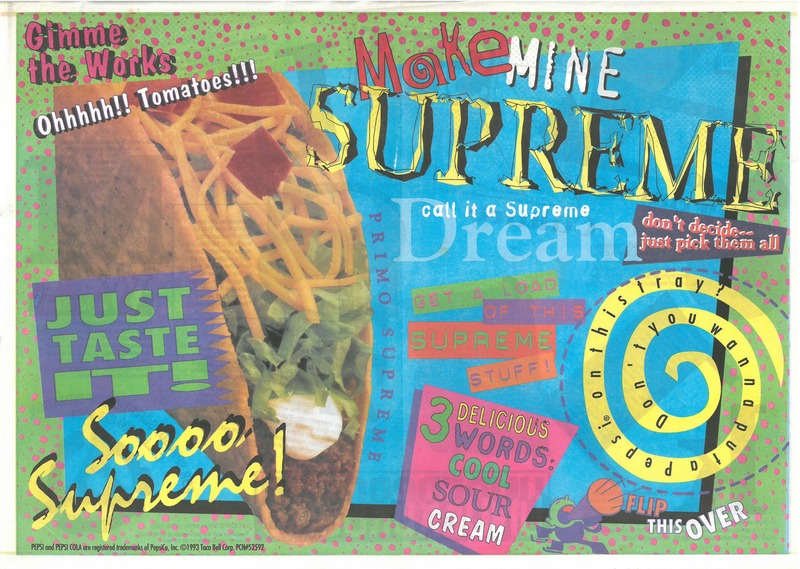 I’m not sure if it’s easier or harder to believe today, but in 1993 the grunge-driven corporate cooptation of the 1980s underground music scene – now watered down and repackaged as “alternative” – had reached such a level that even fast food was getting into it. 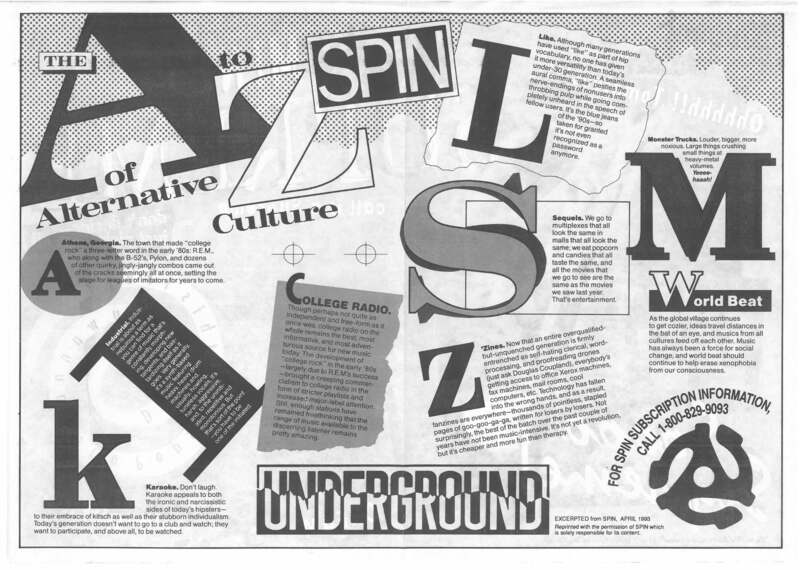 Taco Bell issued a paper placemat, apparently based on a piece from Spin, so their customers could familiarize themselves with important aspects of the “alternative” culture, including fanzines. ‘Zines. Now that an entire overqualified-but-unquenched generation is firmly entrenched as self-hating clerical, word-processing, and proofreading drones (just ask Douglas Coupland), everybody’s getting access to office Xerox machines, fax machines, mail rooms, cool computers, etc. Technology has fallen into the wrong hands, and as a result, fanzines are everywhere – thousands of pointless, stapled pages of goo-goo-ga, written for losers by losers. Nor surprisingly, the best of the batch over the past couple years have not been music-intensive. It’s not yet a revolution, but it’s cheaper and more fun than therapy. It was strange days, indeed.